Roadtrip to Laguna last Monday. I was with Ronald and fern enthusiast Anthony to check out a tree they found flowering some months ago. The plant they were referring to was Terminalia calamansanai (as identified by Leonard Co) or malakalumpit, now with winged seed pods. Along the way we got to check out a household garden sporting large specimens of Platycerium coronarium or staghorn fern. The fern used to be abundant in this part. Now they are reduced to very rare isolated specimens. Platycerium coronarium is one of two recognized species of staghorn ferns found native to the Philippines. The other is P. grande which is endemic to Mindanao. They are called staghorn ferns because the pendulous fronds are shaped like the antlers of deer bucks. P. coronarium ranges from Luzon to Palawan. It is threatened by over collection and habitat loss. If things progress as the way they are right now, there will come a time that these fern marvels will only be known as garden specimens. We went to Dangwa last week to buy some flowers for the graduation rites. My companions Grace, Meryll and Elle perused through every shop looking for a good bargain for our cut flower needs. While looking at the colorful bevy of cut flowers, we found a few unusual items sold along with the mums, carnations, roses and azucenas. As the three ladies did some haggling, I brought out my camera to take snaps of some of the native curiosities. Most impressive are the pseudoberries or flowers of Osmoxylon. They are about a foot across. I read somewhere that the flowers of ulo-ulo or Osmoxylon are fruit-like to attract its pollinators, birds. Another attractive colored find are the fruits of a primitive tree, bago or Gnetum gnemon. The tree is a cross between an angiosperm and a conebearing gymnosperm. The fruits are in clumps and starchy. In Panay, they are roasted by Mangyans and eaten as a vegetable. In Indonesia, the seeds are pounded flat and fried like kropek. A lot of native pandan fruits also find their way into the racks of Dangwa. Pandan fruits are very varied and odd-shaped. A smaller of the pandan fruits is that of bariu or bariw, which I believe to be Pandanus copelandii. The red and orange cl usters are actually made out small kernels. tightly packed together. A couple of hours more, my companions have managed to procure what we came for. As for me I came home with more than what I expected, a loot of fruits which I plan to experiment with in my garden. Just hope some would manage to germinate and reward me with seedlings after a few months, that is if they do not succumb first to the extreme dryness of this year's El Nino. Here's hoping. Yesterday I graduated with a degree - Master of Tropical Landscape Architecture in U.P Diliman. I donned the traditional Filipino barong topped with the maroon and green hablon-weaved sablay. In the university grounds and in the college of architecture, the U.P. colors and familiar symbols filled the air. I sang U.P. Naming Mahal (university hymn) once more. Ironically after 5 years of B.S. Arch and another 5 in MTLA, it was the first time I learned that while singing the hymn, it is proper to do some fist pumping. Doing so reminded me that the ideals of U.P. are usually recognized as passionate and aggressive, thus leading to misconceptions of activism and non-conforming to standards. Another symbol of the state U is Helianthus anuus, or simply called the sunflower. It has been planted in the early months of each year along University Avenue for as long as I could remember. The blooming of the sunflowers are expected in April or May, hopefully ushering U.P. into the summer season. Befittingly the blooming coincided with this year's university graduation rites. It has been documented that regular sunflower blooms face to the direction where the sun is. They are supposed to f ollow its path, from east to west. I once heard from Prof. Mary Anne Espina that the U.P. sunflowers are special. They do not face or follow the sunpath. They are therefore said to be very similar to U.P.. students, very non-conformists. In last year's Lantern Parade, one of the event hosts unwittingly commented that U.P. should adopt the Christmas symbol, Euphorbia pulcherimma or poinsettia (also called Poinsettia pulcherimma), as its mascot plant because of its red and green color (very near the U.P. maroon and green colors). Botanist and U.P. grad. Leonard Co commented that poinsettia would have been a very poor choice to symbolize U.P. The term mascot may have been the right term to use for the poinsettia. Leonard said that the proper symbol plant for U.P. should be a native species, obviously to further strengthen the national pride particularly in the state U. The premier institution should be represented with a very strong formed and charactered plant. It should perfectly display the U.P. colors rather than just approximate the maroon with the red of a poinsettia. Leonard volunteered a couple of native species as candidates. One is Clerodendrum quadriloculare which would have been a nice addition to the landscape of U.P. Diliman. Bagawak, as it is fondly called, has dark green leaves with dark maroon undersides. garden spectators are usually rewarded with very showy seasonal flowers, which appear in February and March. Plant candidate no. 2 is Leea magnolifolia, which has more architectural form and wider leaves, also with the same green and maroon colors. The plant is very attractive as a foliage plant but the flowers are less flambouyant. I am not sure if U.P. would even consider to have a plant symbol to represent it. But if it does any of the two native species will make good U.P. plant icons. Each could obviously embody the U.P. character in their aesthetics. They would probably make more better plant reputations than the rebel sunflowers. But in any case the U.P. representation of any plant species is only superficial, compared to the accomplishments that each graduate could accomplish after their life in U.P. These are the true attestments of how great an institution U.P. has become. My friend Cissy Canlas is waiting for this post. Ficus trees are garden favorites. My favorite Ficus tree is a lesser known species called F. sumatrana, which I first saw in the gardens of Tabang, Bulacan. I was searching for kamuning (Murraya paniculata) specimens and accidentally stumbled upon a new Ficus with growth and form similar to a kalamansi. That is why I christened it myself as baleteng-kalamansi. I kept a specimen in my own garden till lately when I thinned out exotic species in favor of native shrubs. Though I was hesitant to let it go, it was eating space much needed for my native plant propagations (as experiment for my thesis). My lone tree went to a friend who was more than happy to take it. A few months back, I was conversing with botanist Leonard Co about native Ficus and he casually ran down a list of native species. He was uttering Ficus one by one...F. benjamina, caulocarpa, septica, microcarpa ... sumatrana. As soon as I heard sumatrana, my heart skipped a beat. My favorite Ficus is Philippine native... and I already gave away my specimen. I was ready to forego of the plant as my favorite but now that I have learned that it is indigenous, I more than ever would want a specimen. The leaves of F. sumatrana are fine and compact, a very attractive addition to any landscape. I sure could not wait to have one again in my garden. A few weeks back I agreed to chaperone MTLA student Mau Chua to the Mehan Garden. The garden is not anymore what it used to be and its reputation has diminished into a halfway place for the homeless. Mau really needed the company to make this ocular. I was willing because the many times I have surveyed the areas of Intramuros and Lawton, I never really examined what there is still left to see in Mehan garden. I met Mau in LRT Central Station. It took a few minutes before we found each other. Before we did I have already surveyed the remaining flora in the station’s periphery. There were still a few tree remnants of the old Manila landscapes, like talisay (Terminalia catappa), mabolo (Diospyros blancoi) and molave (Vitex parviflora). There were also the weed Ficus trees like tibig (F. nota), dalakit (F. concinna) and hawili ( F. septica). Finally I found Mau at the station entrance fronting Metropolitan Theater. Since it is both our first time to the Mehan, we did not know how to enter the garden premises. I was told years ago that the entrance to the garden was through the old museum and library. But both are not there anymore. Instead there stands new buildings of a Public college. After a few instructions from surprisingly very visible police personnel, we entered the garden by a small passageway through the school. I was not expecting much to see in the garden. I was not disappointed, which was the big disappointment. Much of the ground was already eaten up by the public school. One portion was devoted as storage space for some carnival equipment. The remaining garden was not maintained. The traces of landscaping in the garden were cheesy for my taste. Probably the highlight of the visit was finding two unusual trees. One was betis or Madhuca betis. Though the lone specimen seemd to have withstood the battles of time, the tree still boasts of it golden leaves, very attractive against the predominant green of mahoganies and narra. The second tree was unknown to me. I will try to consult it with some botanist friends to find out what it is. I heard from some city hall employees that they will be starting revival of the Metropolitan Theater. I pray that this restoration would not be like the previous plans that were just ningas-cogon. Hopefully whatever goodwill they have planned for met theater would spill over to the Mehan. Somehow these parts of our history and culture are just destined to wither to obscurity. But then again it might be better to just let it go with the flow and find more suitable uses for these pieces of real estate. If they do, the city should somehow find the proper people to document the Mehan’s existence, so that even in paper its memory could live on. The dry season did not hinder the Palawan cherries to bloom. Though they are not that profuse as the previous year, some trees in Manila Seedling Bank did manage to bring out their floral displays. Check them out while they are still in flower. Everyone who keeps a garden would tell you that the dry season is really taking its toll on plants. U.P. is yellow and bare, La Mesa watershed is too dry. The shady Wildlife park is now almost full sun exposure. My favorite Wildlife tree, the katmon, is in danger to die. It's leaves dried up, without the tree shedding it off. I sure hope the rains come soon. If not, more plants might be doomed to the same fate. Sigh!!! I have been fortunate to visit Tokyo in Japan when the cherry blossoms were about to bloom. They do so in the last weeks of March and when I was there for the 15th IUSAM conference last March 10, some cherry blossoms and the slightly smaller plums were already painting the landscape with pink and rose colors. Though they were still not in their full flowering glory, the early blooming trees were already raved by passers-by. They do not fail to flag down the always rushing Japanese people. Tourists were tempted by the rare opportunity to take snap shots of the delicate looking blossoms. The week I returned back to Manila from the Japan trip, I was greeted by the same sight, but sadly of a much lesser scale. It was of a sole specimen of Crateva religiosa or salingbobog. The tree stands in an old abandoned lot and is in the danger of being cut down for an impending development. The flowers of salingbobog is profuse and to my opinion is comparable to the cherry blossoms I saw in Tokyo. Today I just talked to Cel Tungol and she said that the tree still has some flowers. So the flowering of the tree is much longer than its Japanese counterpart. Yet you rarely see the opportunity to view salingbobog's flowering window. Unlike the cherry blossoms in Japan, Crateva religiosa is virtually unknown in Metro Manila. It would be a waste if such a flowering spectacle could not be harnessed in our local gardens. Sorry if I have not been blogging for quite some time. Ever since January, I have been writing my thesis book and it has surmounted into 400 pages. So whatever free time I had, I devoted to doing non-writing activities, particularly playing Farmville over at Facebook (you should see my farm! hehehe.). But I am happy to announce that after 4 months of prose writing and practically 3 years of documenting various Philippine trees, I officially finished my thesis, signed sealed and delivered last April 5, 2010. In time for the last day of submission of grades for graduating students. In doing the research for this thesis I have met a lot of people who gave me a good direction in tackling this vast subject of native trees and shrubs. They have generously shared their expertise and knowledge and inspired me to finally finish this native landscape tree evaluation. They were my resource persons but they eventually became my friends and mentors. I would like to acknowledge them for their continuous support. To Monette Flores, who inspired this researcher to explore native trees. It started with just a simple conversation in Amarela Resort, Bohol about the native kalumpang in Palawan. Professor Mary Ann Espina for giving me the direction to pursue a tree evaluation topic for L Arch 202. My adviser, Prof. Dan Villajuan, for supplying the process and the idea for my methodology. Botanist Leonard Co. for religiously identifying the plant pictures and samples I brought back from plant trips. Professor Ed Gomez of the Marine Science Institute for sharing the knowledge, passion for native trees and the numerous pictures I took of his collections in UP Diliman and his Alabang residence. Mr. Emiliano Sotalbo for numerous conversations about his plant experiences and know-how. The staff of the UP Diliman Arboretum, for directing me to the initial specimens for this evaluation. Mr. Ray Ong, Editor of the Philippine Gardens, Philippine Star for introducing me to Himbabao and continuously answering my inquiries about native trees. Mr. Mike Asinas of Ayala land for sharing his passion on Philippine trees used in urban landscape design and for the extensive tour of the Ayala Land Nursery in Alabang. Ms. Ime Sarmiento of Hortica Filipina for pictures of mangkono and magtungaw, and the tour of her private native plant nursery. Prof. Roberto Coronel for sharing his expertise in Philippine fruiting trees and shrubs, and for letting me take pics of his beautiful trees in his farm. Ronald Achacoso for the constant sharing of information and the very fruitful exploration of the Zambales hills, the forest areas of Real, in Quezon and the plant hunting trips to Laguna. The Achacoso family for their hospitality in their Zambales farm. Atty Doy Nunag for the hospitality in Amarela Resort and insights on Buchanania arborescens, Sterculia comosa, and other coastal Bohol trees. Architect Chi Victorino for sharing the passion for plants and for including me in her trips to Bohol and Boracay. Susan Topacio and her Jardin Isabel staff for their insights on the flora of Surigao and native tree cultivation. Ma. Cecilia Leonor Gendrano and Cathy Fontanilla for accompanying me in several trips, namely the Pahiyas in Lucban, Quezon, karagumoi hunting in Majayjay and Luisiana in Laguna, Davao, and island hopping in Batanes. Anthony Arbias for the know-how on tree ferns and endless sharing of his native tree pictures. The members of the Philippine Native Plant Conservation Society for letting me use their resources and references, particularly George Yao, Ernie Alvaran, Edwin Tadiosa and Ressie Navarro. Bob Servinio of the Philippine Women’s University faculty for providing additional plant sketches for this evaluation. Mr. Lil Nunag for sharing his knowledge on traditional Bohol uses of trees, particularly the ones used as lumber. Ka Berto in Amarela Resort for giving me the Visayan vernacular names of the trees in Libaong Beach, Panglao. Mr Archie Po, Ms. Millie Artillaga, Capt. Jack Dionisio and the staff of Boracay helicopter adventures for their hospitality in Boracay and the aerial oculars of the island. Ms. Marian Nash, Mr. Rene Bello and the residents of Bgy. Manlalambay for their hospitality in our Popototan Island trip in Busuanga, Palawan. Professor Ace Dimanlig and his L Arch 255 class for sharing the experiences in Popototan and assisiting me in collecting data in Kipil and Danlep beaches. The Ong family for their hospitatlity in Villa Felicidad, Silang, Cavite and for introducing me to lipote. Joey Diaz and the staff of Bantay Kalikasan for the tour of the La Mesa Eco Park and the La Mesa Watershed. Ermileen de Jesus and Juliet Medina for accompanying me to Pagudpud, Bangui, and Laoag in Ilocos Norte. Heritage Park staff for the trip to Caliraya Lake in Lumban, Laguna, which eventually led to locating specimens of Artocarpus blancoi, Dillenia suffruticosa, Dillenia philippinensis, Fagraea racemosa and Antidesma ghaesembillia. Lito Echaluse for his accounts on the uses of some native trees from Palawan and Bataan, like dita, kalumpang and malobago. Also for assisting in test planting the native trees in Heritage Park. Dr. Ron Serrano, for facilitating a wonderful exploration trip in Davao giving us an overview of eastern Mindanao flora. Mr. El Roos for letting me take pictures of native specimens in his collection. The UP Mountaineers, especially Fredd Ochavo, for facilitating the flora exploration trip in the Ipo Dam watershed and for sharing the passion. Dr. Edwino Fernando for giving me some additional plant genera to look into and identifying my Pinanga pictures. Dr. Maribel Agoo for the information on the Batanes date palm and Philippine cycads. Dr.Monina Siar for showing us the impressive specimens of Medinilla magnifica in UPLB. Reynold Sioson of the Rare Fruit Society of the Philippines for sharing the knowledge on fruiting native trees and the wonderful pictures of some fruiting specimens. Jimson and Lenna Ong, and Tita Magno for the samuyao specimens from Cebu and its cultivation information. Dr. Domingo Madulid for answering some of my plant emails. Ms. Cita Lakdan of Carolina’s Bamboo garden for the tour of their bamboo grove. Prof. Susan Aquino Ong for sharing insights on some UPLB plants. Ms. Jo Quimpo of Tree Station for insights on tree cultivation and the tree balling and transfer guidelines for Casuarina equisetifolia, Eucalyptus deglupta, Canarium ovatum, and some other species. Edna Belleza Fortadez for sharing her insights on Cordia dichotoma and Canarium ovatum. Grace Edralin Servino for accompanying me in several trips to UPLB. Prof. Nori Palarca and his L Arch 263 and 260 classes for sharing the experience exploring the forest reserves of Mt. Makiling. Professor Nelson Pampolina for identifying the specimens of Ayangile, and for the plant tour of the UP Forest Reserve. The Staff of the Makiling Botanic Garden for sharing some information regarding Tindalo, Betis, Amugis and some other plant species. The Staff of Pook ni Maria Makiling for their hospitality. William Granert and the staff of the Bohol Biodiversity Center and Dipterocarp Nursery for the tour of their botanic garden and nurseries. To the Countryside landscape class of Prof. Nori Palarca for sharing the experience of the Laguna Lake trip. Edward Agdeppa for sharing some of his photos and insights about Ilocos trees and the trees in his collection. Serapion Metilla for his insights on Osmoxylon lineare and some attractive landscape species. Christine Roxas of Ecosystems Research and Development Research for information on native bamboo species. Our cook Edison and Nana Juaning of Samar who introduced me to Diospyros ferrea or bantulinao and giving me specimens to test and observe. Cindy Layusa of World Wildlife Fund for a copy of the Calayan list of Flora. Wendy Regalado and the Philippine Horticultural Society for giving me a venue to discuss native trees and learn more about them from other people. Popo San Pascual for the tour of his Tagaytay residence and the impressive native specimens in his garden. Mr George Mendoza for the tour of garden and for sharing his rare veriegated and beutifully grown native specimens. The Panagbenga 2010 organizers for their hospitality and the Baguio Country Club staff for the chance to document Cyathea contaminans and Pinus kesiya in the club’s premises. Leila Agudo and the Agudo Family of Ivana town, Batanes for their hospitality and the shared insights on some Batanes native trees like chipohu and voyavoi. The Ivana town government for sharing with us a memorable Ivatan Christmas meal after our tiring trip to Sabtang Island. Teacher Macky in Sabtang for leading us to where the Phoenix loureirii populations are. The staff of DENR and ENRO offices in Basco, Batanes for accommodating my inquiries about the flora of Batanes. Also for facilitating the proper documents for me to bring back a few specimens to Manila for study. The followers of my thesis blog, www.pinoytrees.blogspot.com, for sharing their ideas and insights on the use of native trees for landscape. The people from the Rarefruits Society of the Philippines for their insights on local fruiting trees. The people at flickr.com who shared their one of a kind tree pictures. Prof. R. B. Santos for the 3 elements of thesis writing which I wrote on a post it over my bed. Professors Zeny Galingan and Noel Aleta for consultations and insights about the thesis. Chris Layusa for the coffee and movie breaks, perpetually reminding me about the proper thesis format, formatting my results tables and proof-reading part of this thesis. Faith Varona, Eden Saroupia and Dino Delotavo for sharing their expertise and insights on thesis writing. My fellow landscape students Sharon, Cissy, Ate Julie, Nappy, Osias, Rhia, Fred, Caster, Mau, Grace Paj, Cathe, April and the younger ones for the help, food and thesis diversions. My friends Ibay Sicam and Anabelle Quilantang for introducing me to Farmville, which kept me sane in writing the thesis book. My family for giving their undying support. My dad and my sister Cecil for driving me to some of the sites to sight the native trees. 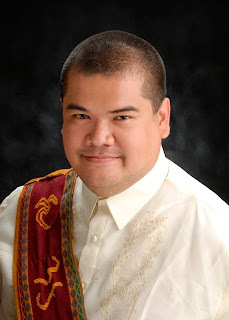 My departed friend Maricon Cenabre who urged me to take my graduate studies and finish this thesis. To God and my departed Mom, who kept me always inspired while working on a plant-related thesis. To all people who have helped me in qualifying, sampling, photo-documenting, verifying, identifying, researching, tabulating and cataloguing the 75 tree and shrub species in my evaluation, my deepest gratitude. I could not have finished this thesis without all of you.